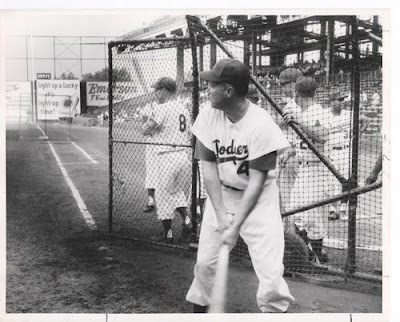 Here are a couple of great photos that recently sold at Madec's auction recently; including the below pic from the Dodgers inaugural game in Los Angeles on 4/18/1958. 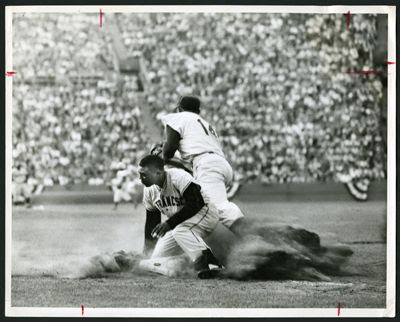 Willie Mays is sliding back to first as Gil Hodges covers the base. It sold for $616.88. I'm sure that if you've ever golfed then you have either done this or thought about doing it. 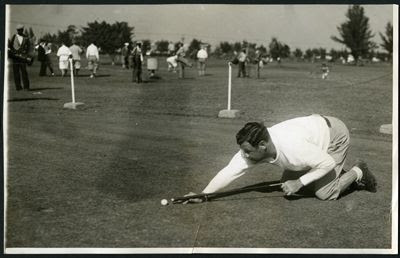 Babe Ruth tries to hit the ball in the corner pocket. This card is just awesome. There is not much to really report- at least nothing too important. All is quiet on the Dodger front. It's a small world. I have season tickets to the Kings up in the rafters at Staples and found out on Saturday that my seat neighbor has his own blog dedicated to the Kings. Go and check it out at LAKingsNews.com. Dodgerfan.net is following Matt Kemps Thanksgiving on twitter. 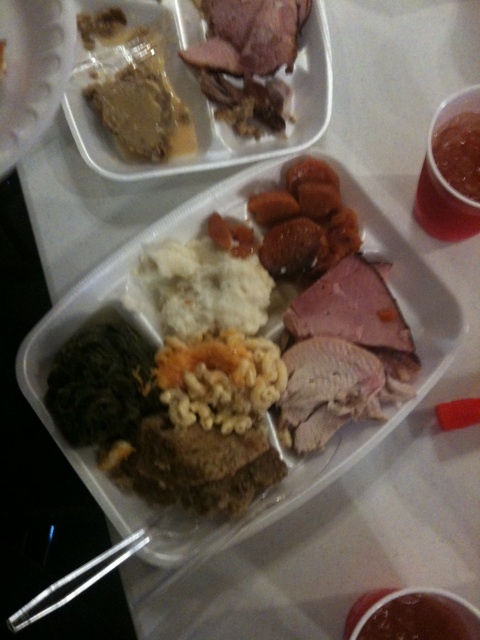 Below is Matt's Thanksgiving plate. True Blue LA Remembers Pedro Guerrero. Ken Levine shares a Levine Family Thanksgiving tradition. Check it out and watch the video. GCRL Maury Wills TTM autograph success. Check his post here for more autos. 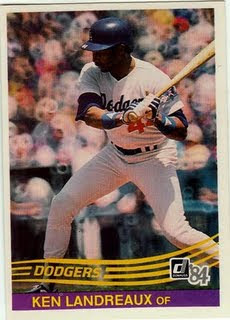 Night Owl cards recently received a bunch of great Dodger cards. Check them out here. Check out some of the entries in the 2009 National Geographic International Photography Contest. Below is my favorite one. "Kids take advantage of a rare concrete canyon in the densely packed city of Hong Kong. Making paper airplanes out of an IKEA catalog, then watching them spiral down the deep void." 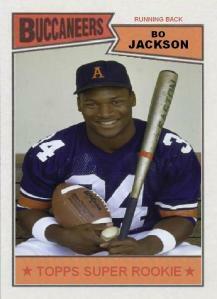 Custom Card Blog makes a 1987 Bo Jackson fantasy card. Dude!!! The Muppets are on YouTube! Check out their Bohemian Rhapsody below. A big thanks to Diamond for finding this great Holliday video. Happy Birthday Vin! Happy Birthday Ross! A big thanks to Jon at Dodger Thoughts for reminding me of the birthdays of Vin Scully and Ross Porter. Below is a collection of videos featuring Vin Scully. Vin gives a graduation speech. 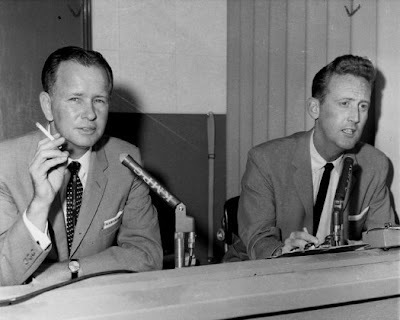 Vin Scully, the game show host. See part 2 here. Already, the 2009 post-season has been very fruitful one for the Blue Crew. So far, we've taken down a couple of Silver Sluggers, Gold Gloves and Minor League Player of the Years. On top of that, two of our outfielders finished in the top 10 in the recently announced NL MVP race. All of this adds credence to how great last season was. Now, we are given the opportunity to add more trophies to the mantle. The 2009 "This Year In Baseball" Awards are up for voting by the fans and the Dodgers have 3 capable winners in their corner. Apparently, this is the 8th year of these awards. Frankly, I don't remember the past 7. Nevertheless, any time you can celebrate a great year with accolades and gifts during a cold winter the warmer we become. So, here are your contestants. For Closer of the Year, vote for Jonathon Broxton. Go here to vote. We have some strong competition to deal with in this category. Mariano Rivera, Joe Nathan and Jonathon Papelbon may block the big mans path. Executive of the Year, vote for Ned Colletti. Go here to vote. I don't really want to tell how to vote on this one. After all, everyone seems to have their own opinion on the work of our GM. Nevertheless, he's gotten us to the playoffs several times and has, seemingly, put together a good team of veterans while maintaining the youth parade. In other words, he has built a competitive team without mortgaging our future. For that, I give a big thumbs up. Of course, if Carlos Santana ends up being a superstar I may not be so kind. Manager of the Year, vote for Joe Torre. Go vote here. I do have one other request. Check out the candidates for the "Oddity of the Year" awards and vote for Mr. T. "Don't be a fool!" Legendary Auctions appears to be the place to pick up some vintage early 20th Century Baseball photographs. 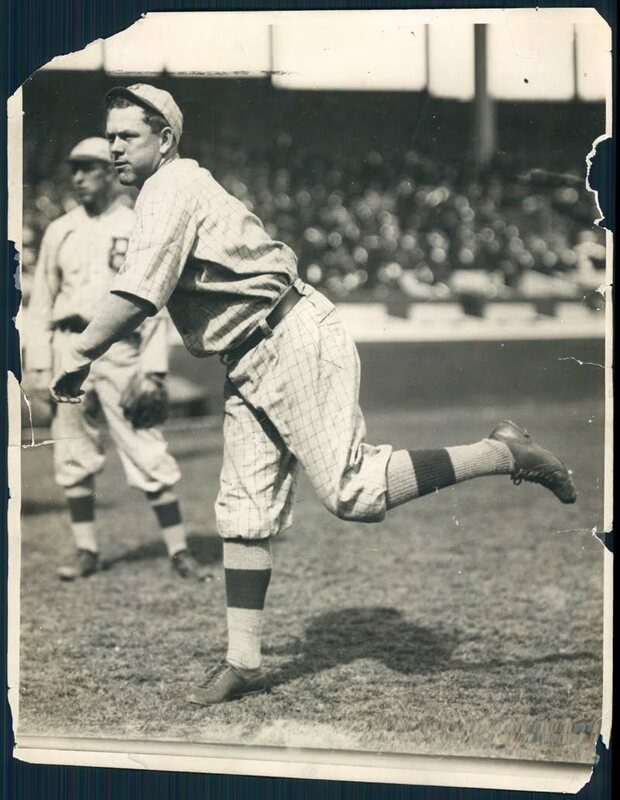 They have original pics from Baseball photographic legends Paul Thompson and Charles Conlon, and examples from well regarded news institutions like UPI and the Detroit News. Fortunately, their impressive collection includes a ton of Dodgers. Go here to check out the entire auction offering. It's filled with the "Who's Who" of deadball era greats. 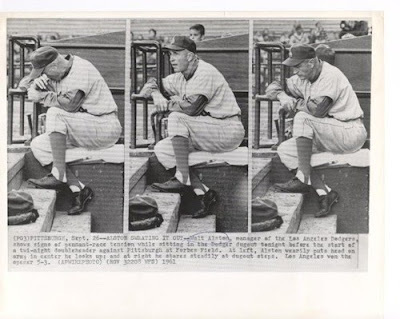 Below are a couple of nice photos of Baseball and Dodger legend Branch Rickey during his playing days with the Cardinals. 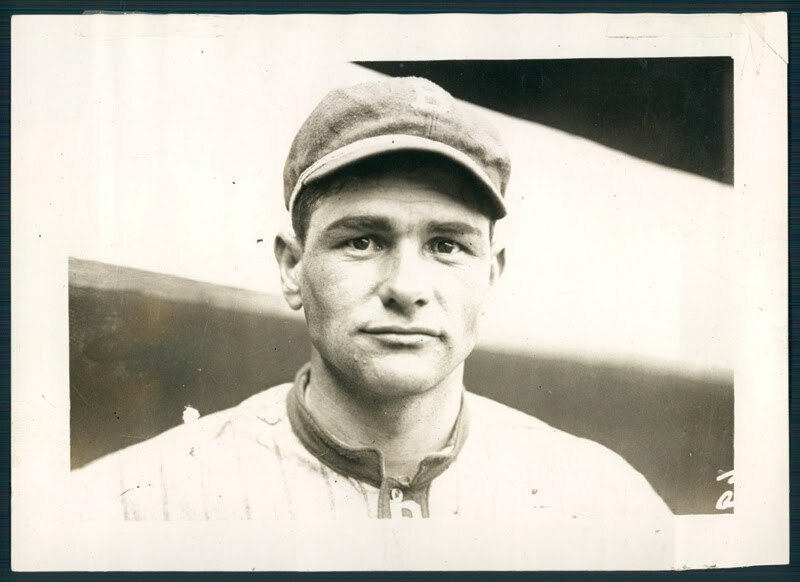 Here is a original Paul Thompson photograph of Hall of Famer and former Dodger Zach Wheat- from the days when the "Boys in Blue" wore pinstripes. 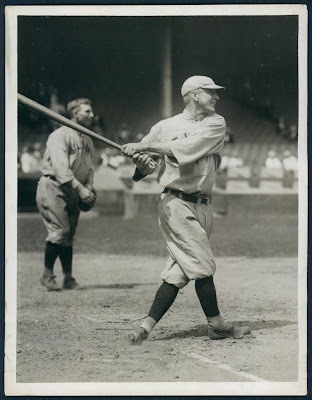 Charles Conlon produced the Nap Rucker photo below. It has to be from 1916 since it was the only year Rucker was on the team when they wore checkered uniforms. 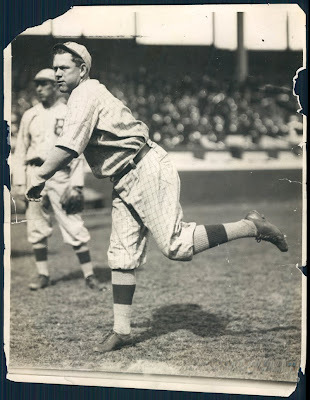 Once again, I can never get enough of Babe Ruth in a Dodger uniform. 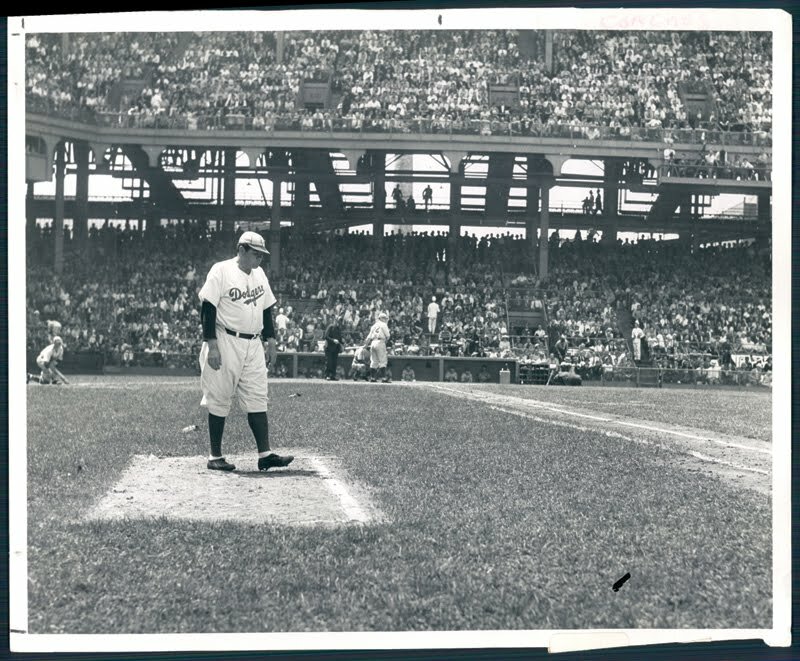 I think I like this photo the best since it shows Ruth in the 1st base coaches box during a game. This is a UPI Press Photo. I came across this poem while doing some brief research on an eBay item I posted about a few days ago. I came across a Jake Pitler photo that had me wondering who he was. I came to find out he was an old Brooklyn manager and was a bit of a father figure to young Dodger players on their way up. Better yet, he was even spoken about in prose in Marianne Moore's poem celebrating the 1955 Brooklyn Dodger World Series win. This is a poem I had never come across before, so I figured it would only be proper to share this with all of you. Apparently, it was very popular back in the day. From SI. BTW, here is a little known fact about Ms. Moore. She was a teacher at the Carlisle Indian School when Olympian Jim Thorpe was a student. Check out another poem of hers called "Baseball and Writing." "How did you feel when Sandy Amoros made the catch?" getting better and better.' " (Zest, they've zest.
" 'Hope springs eternal in the Brooklyn breast.' "
if they saw the collector of income tax? "Four hundred feet from home-plate"; more like that. like Jim Gilliam's great big one. Hope's alive. Homered, flied out, fouled? Our "stylish stout"
so nimble Campanella will have him out. almost as if he'd just told it to go. on which we are looking superstitiously. Ralph Branca has Preacher Roe's number; recall? and there's Don Bessent; he can really fire the ball. he lines a homer to the signboard and has changed the score. almost dehorned the foe—has fans dancing in delight. 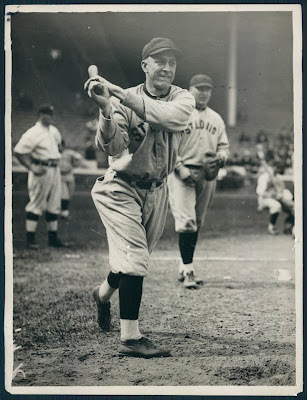 who can bat as well as field—Don Demeter. Carl Erskine leaves Cimoli nothing to do. which two very fine base-stealers can offset. watching everything you do. You won last year. Chris at DodgerFan.net wonders if Ben Sheets is in our future. Here is another great vintage Baseball photo at Shorpy Blog. It features 3 Washington National players- Jacinto Calvo, Germany Schaefer and Merito Acosta. Sign the online petition started by the Slanch Report to get the MLB Network to show Doc Ellis's LSD induced no-hitter in 1970. Check out this great photographic video featuring the last game of the 2009 World Series. There are 12,000 photos in total; including a view of ice melting on dogs at Yankee Stadium. It's majestic. From the NY Times. This is probably the greatest autographed baseball I've ever seen. Check out Sports Lockers great post here about a 1980 World Series baseball signed by both Pete Rose and Bob Boone, and inscribed with notes about an important defensive play. 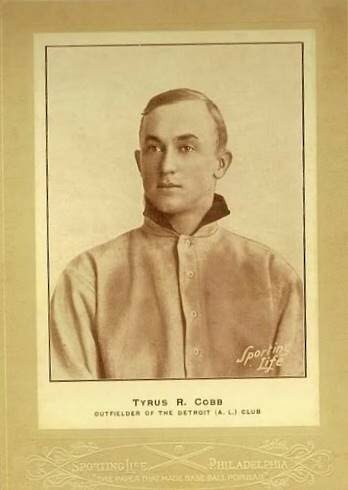 Sports Collectors Daily does a nice writeup on the history of the vintage Sporting Life Baseball cards. Before you knew him as The Rifleman he was a Brooklyn Dodger first baseman trying to stick with the big club. Heck, before that he was a forward for the Boston Celtics. Chuck Connors was a man who could do anything. He was athletically gifted and had a flare for acting. His hit show, The Rifleman, ran 1958 to 1963. Legendary Auctions current offering includes various items bearing his name. 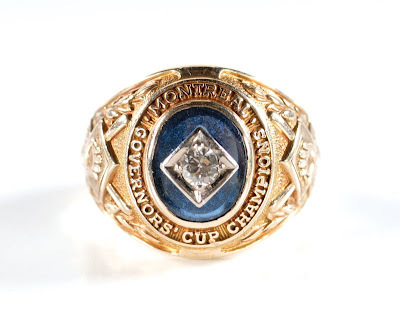 Below is his 1948 Montreal Royals (the Dodger AAA Minor League club at the time) Governor's Cup Champions ring. It sold for $2,200.00. 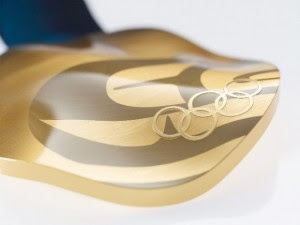 This is the neatest item of all. 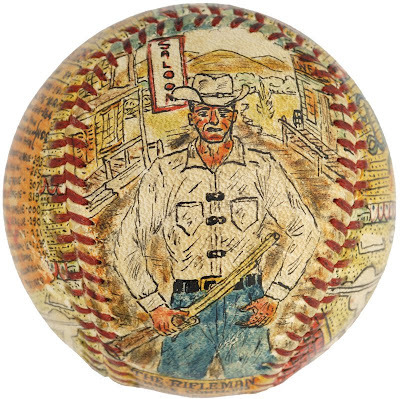 Below is a George Sosnak painted ball featuring Chuck Connors. Now you should know why Sosnak artworks are highly prized within the collector community. This ball is stunning. It sold for $4,000.00. Here are some great Dodger items I found on eBay recently. 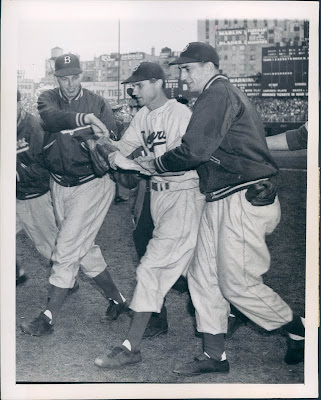 Below is a UPI Press Photo of Preacher Roe being congratulated by his Dodger teammates after winning the 2nd game of the 1949 World Series against the Yankees. In my opinion, the best vintage photos you can get come directly from the fans. Below is a fan created photo of Brooklyn Dodger first base coach Jake Pitler. With the palm trees in the background I would be willing to bet that this is a Spring Training photo. He was a coach for the Brooklyn team from 1947 to 1957 (their last year in the borough). Later on he continued his employment with the Dodgers as a scout. 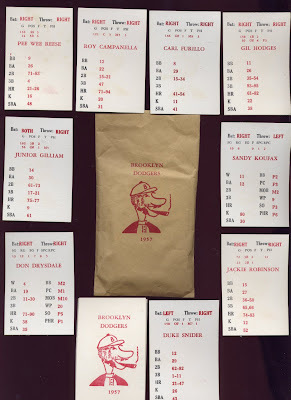 I have never played or even heard of this vintage Baseball card game. It is called Big League Manager and below is the team set for the 1957 Brooklyn Dodgers. I love the cartoon drawing of the old Brooklyn "Bum." Has anyone ever heard of the Pepsi Dodger Fan Club? Below is a patch celebrating this group in 1972. As a sports collector geek I find this intriguing. Unfortunately, I live on the West Coast and I rent currently so this announcement is lost on me, but I'm sure there are some worthy folks out there who could use some organization and makeover help. I believe this show may coincide with the National Sports Card Collectors Convention being held in Baltimore next year. From an email I just received from The National. All e-mails must be received by 12/31/09 to be eligible. Card of the Week: Who Me? 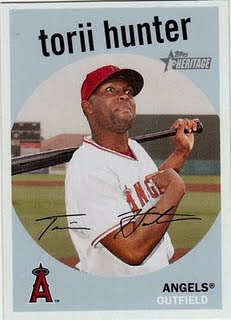 Above is this weeks "Card of the Week" and it features a surprised Torii Hunter. The card is a 2008 Topps Heritage card that borrows its designed from the vintage 1959 Topps set. In this card, Torii Hunter looks as shocked as anyone as he pulled off a double-whammy of season ending awards. He took home his 9th consecutive Gold Glove and a Silver Slugger Awards this past season. Only 3 1/2 months til Spring Training. Lemke shows off his recent creation of a 1969 Steve Garvey rookie card. How did I miss this? Night Owl Cards made a great post back in August celebrating Hideo Nomo's birthday. He shows off a bunch of Nomo cards. It's awesome. Sully writes a great story featuring unlikely pitchers to finish a World Series. 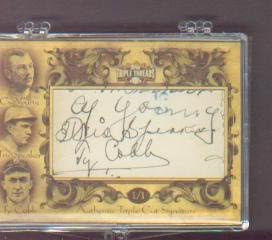 Follow GCRL as he tries to complete a signed 1978 Dodgers Topps team set. He just received a signed Elias Sosa card. Here is a video of the Twins new ball field, Target Field. An amazing turn of events. After a 53 year run, Topps will no longer be making football cards. They recently lost their license with the NFL Players Association. Check out some of these great photos on Boston.com from Veterans Day. In honor of Veterans Day, ESPN is running a series of articles featuring prominent athletes who also served in the Armed Forced. Ralph Kiner writes about his own experiences. The video below is some funny and entertaining stuff. Hunt Auction is once again holding their 6th Annual Live Auction at the Louisville Slugger Museum & Factory this month. There are some "doozies" here including a complete run of autographed & game-used Baseball All-Star jerseys (including Dodgers Broxton, Billingsley & Hudson) from 2009 and Curt Flood's personal collection of memorabilia and drawings. 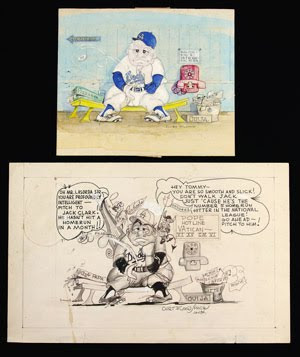 In fact, I am going to start this post by featuring a one-of-a-kind drawing from Curt Flood of Tommy Lasorda. As some of you know, Flood is an accomplished artist. 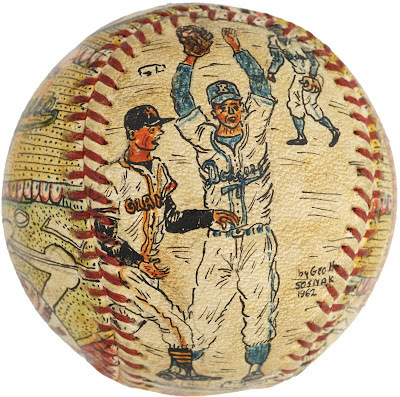 He initially started painting for other ballplayers, but soon became well known outside that community. A look through this catalog online or in book form will give you a nice peek at some of his work. Check out this incredible painting of Bob Gibson. 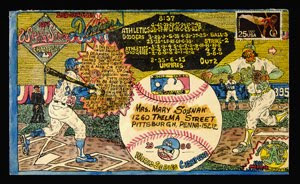 Another very popular Baseball artist is George Sosnak. 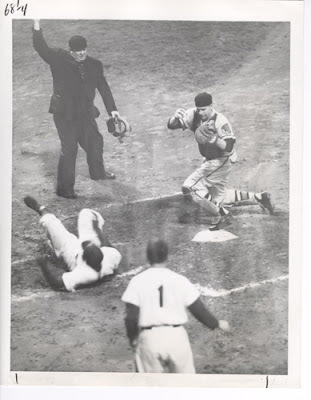 Self-taught as an artist, Sosnak (1924-1992) had devoted his life to the game as a fan, player and minor league umpire, even when that meant holding a day job as well. 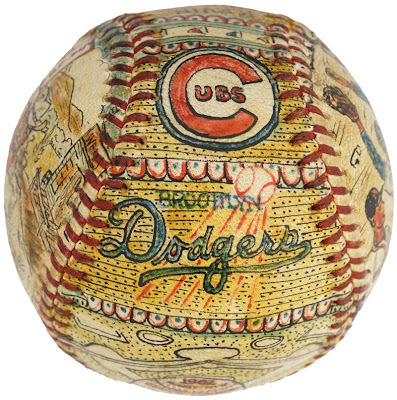 His best-known works are actual manufactured baseballs intricately decorated for a special occasion with India ink and then hand colored. 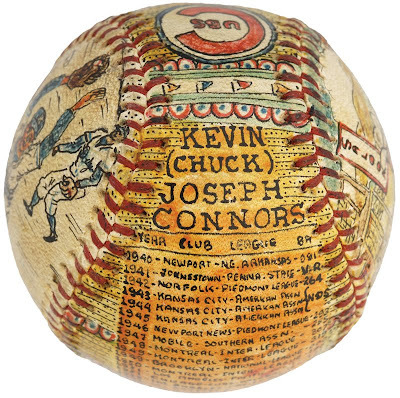 He painted about 800 baseballs. Below is something a little different from him. It is a 5x8 envelope that has been converted into a canvas and then subsequently mailed in 1988 to a relative. It is a great painting featuring Kirk Gibson's game winning home run blast against Dennis Eckersley during the 1988 series. The final two items are just incredible. Being made available for the first time are a pair of game-used vintage jerseys from the 1948 Brooklyn Dodger season that were worn by Pee Wee Reese and Jackie Robinson. They came directly from a former coach of one of the Dodger farm teams. 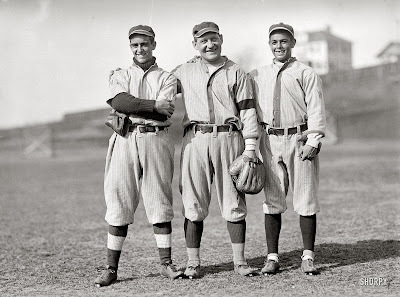 Apparently, at the end of each season the big club would hand down old jerseys, pants and caps. Then, they would have the minor league coaches wear them when meeting new incoming players. Afterwards, everything was either sold or just given away. Below is Pee Wee Reese's jersey. Click on the photo to see a larger view. Here is Jackie Robinson's jersey. Click on the photo to see a larger view. A hearty congratulations to both Matt Kemp and Orlando Hudson for winning Gold Gloves in their respective positions. 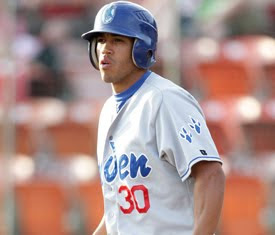 "Kemp led all Major League center fielders and ranked third among all big league outfielders with 14 outfield assists. His .995 fielding percentage was third among NL center fielders, behind Gold Glove winner Shane Victorino and Nate McLouth. The Oklahoma native made just two errors on the season. " Way to go Bison! 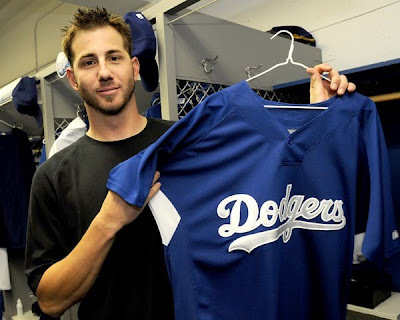 Past Dodger winners of a Gold Glove in centerfield include Steve Finley in 2004 and Willie Davis (3 times) from 1971 to 1973. 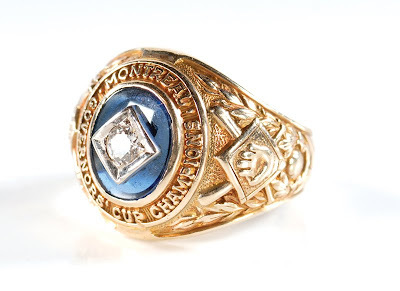 "In 145 games at second base, Hudson made just eight errors and posted a .988 fielding percentage (T-4th, NL), which ranked fifth on the franchise’s single-season list by a second baseman, behind Jody Reed (.993, in 1993), Jackie Robinson (.992 in 1951), Charlie Neal (.989 in 1959), and Mark Grudzielanek (.989 in 2002). In September, the 2009 All-Star was named by Baseball America as the best defensive second baseman in the publication’s annual tools issue. " Hudson is the 3rd Dodger to win the award at 2nd base. The other two were Davey Lopes and Charlie Neal. As declared by President Woodrow Wilson, "a day to be dedicated to the cause of world peace and to be thereafter celebrated and known as 'Armistice Day'." It has since been renamed Veterans' Day. We honor, on this day, the men and women who have served this country. 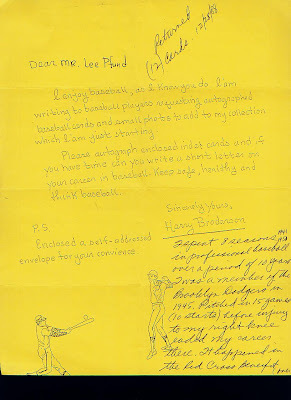 Also, please check GCRL great post where he shares a homemade card he made of former Dodger Roy Gleason. He fought in Vietnam and was the only Baseball soldier to have been wounded in action. 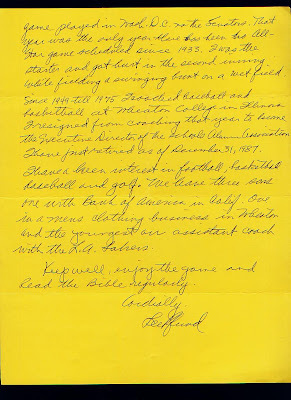 He even sent a copy to Roy and received a nice note back. Go and check it out. A congratulations to Luc Robitaille on his induction into the Hockey Hall of Fame this coming Monday. "On the lighter side, the good thing about me is I never had a step (quick move up ice), so I never lost it," he said. "That's why, maybe, I was able to play 19 years." 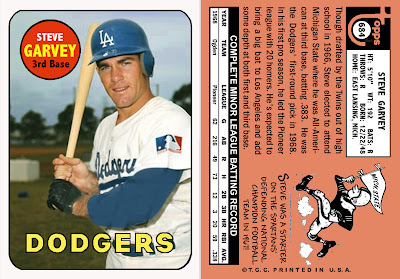 The #5 Type Card Collector introduces us to the 1978 Post Cereal Steve Garvey Baseball Tips set. Read a little bit about a recent find of some vintage soccer cards in Canada. Sports Locker meets the men of Easy Company and gets their autos at a book signing. Wow. 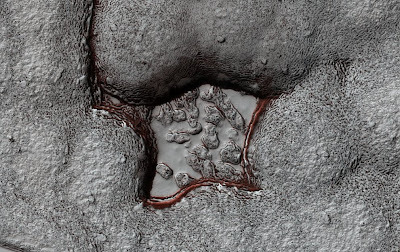 Check out these pics of the Martian landscape at Boston.com. If you are a college basketball fan then you may know the name of Lee Pfund. From 1951 to 1975 he coached the basketball team at Wheaton College. Over those years he won five College Conference of Illinois (CCI) championships, captured the 1956-57 Small College National Championship and had a lifetime 362-240 (.601) record. 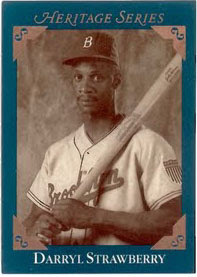 Prior to his career as a coach, though, he played pro ball for the Brooklyn Dodgers in 1945. I spent 8 seasons in professional Baseball over a period of 10 years. I was a member of the Brooklyn Dodgers in 1945. Pitched in 15 games (10 starts) before injury to my right knee ended my career there. 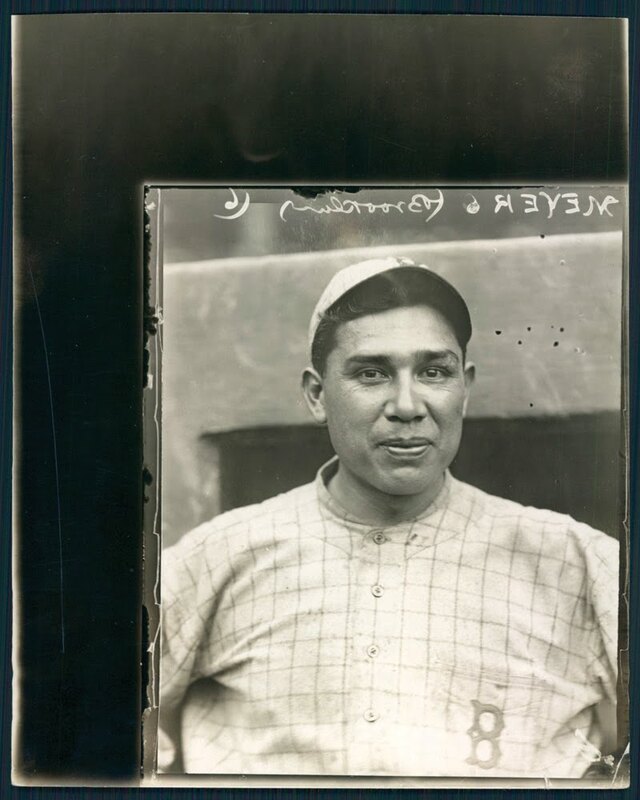 It happened in the Red Cross Benefit game played in Wash. D.C. vs. the Senators. That year was the only year there had been no All-Star game scheduled since 1933. I was the starter and got hurt in the 2nd inning while fielding a swinging bunt on a wet field. Since 1949 til 1975 I coached Baseball and basketball at Wheaton College in Illinois. I resigned from coaching that year to become the Executive Director of the schools Alumni Association. I have just retired as of December 31, 1987. I have a keen interest in footbal, basketball, Baseball and golf. We have three sons. One with Bank of America in Calif., one in a men's clothing business in Wheaton and the youngest an assistant coach with the LA Lakers. Keep well, enjoy the game and read the bible regularly. His youngest Son, Randy Pfund, is currently the GM of the Miami Heat. Also, an important note is that when he played for the Dodgers he pitched with a "no Sunday" contract. 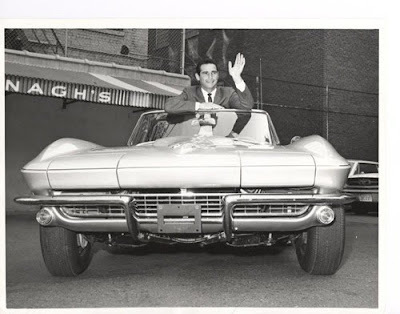 Legendary Auctions recently had a bunch of vintage press photos on eBay for sale. Below are some choice examples featuring our beloved boys in blue. 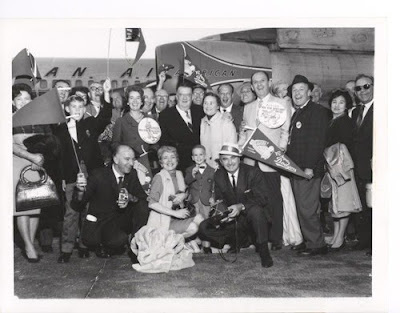 O'Malley and a whole cadre of Dodger fans from the old borough of Brooklyn cheer on the Dodgers before the 1963 World Series against the Yankees. The old Brooklyn cheer must have been magic since the Dodgers swept the Yankees that year. Walter Alston goes through a range of emotions during the 1961 pennant race. Unfortunately, the Dodgers ended up 4 games back of the Reds. Below is a Sport Magazine original photo of Duke Snider taking his whacks in the batting cage. 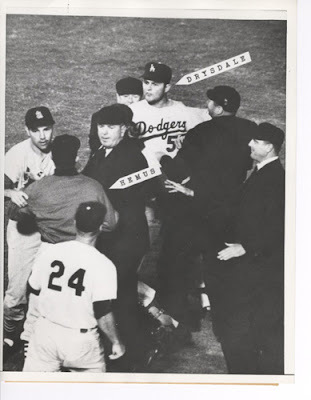 An argument and fight ensues after Don Drysdale throws a "duster" at Joe Cunningham. Dated September 4, 1959. Out at home! June 1, 1955; Jackie Robinson is tagged out at by Del Crandall. This photo was featured in a September 1962 Sport Magazine issue.